Have you had problems getting through the NHS Continuing Healthcare Checklist assessment? The NHS Continuing Healthcare Checklist assessment is the first stage in the NHS Continuing Healthcare funding assessment process. This stage should be relatively straight forward and quick. It should not be a long drawn out assessment, and it can be completed by any health or social care professional who has been trained in it. However, many mistakes seem to be made at this stage by assessors, and it leads to people being incorrectly means tested. If your relative needs full time care, it’s vital for you to read the NHS Continuing Healthcare assessment guidelines, so that you know what should and shouldn’t happen regarding funding. A financial assessment (means test) is NOT the first thing that should happen, and if you and/or your relative have been told you’re having a financial assessment – or you’ve been asked about your money – be sure to tell that person that this is entirely inappropriate. The first thing that should happen is an assessment of care needs NOT money. 1. Being told your care needs don’t warrant a Checklist assessment and/or that you can’t have one and/or and that you won’t be eligible. Any individual can ask for a Checklist assessment and the person asked should then arrange it. If you’re told any one of the above things, it implies that the person telling you has already made up their mind about your care needs before the assessment has even taken place! The whole point of the Checklist is to see if there’s any chance you might need NHS Continuing Healthcare funding. (Note: ‘might need’ as opposed to ‘definitely will need’). Also, the Checklist is not a complete assessment in itself. Instead it’s simply an indicator of whether you might need to have a full assessment (stage 2). 2. The assessor has no training in NHS Continuing Healthcare and in the use of the assessment forms. Anyone undertaking an assessment at any stage of the NHS Continuing Healthcare assessment process must be properly trained in it. Don’t be afraid to ask what training the assessor has had in NHS Continuing Healthcare and what knowledge they have of the Care Act and of relevant case law, such as the Coughlan case. 3. You’re told the Checklist can only be completed in a care home. This is incorrect. It can be completed in any setting. In addition, it must be completed before you’re discharged from hospital. 4. You’re not informed about when it’s taking place and you’re not asked to contribute. This is just plain wrong. It seems many people are also not told afterwards about the outcome, nor given any paperwork and are not informed how to appeal, should they need to. The guidelines make it very clear that an individual (or their representative) must be fully informed and involved at every stage. 5. The assessor failed to look at how your care needs are changing. Assessors must look at the ‘near future’ – how care needs will change in the next few months, and this must be taken into account in the scoring. 6. The assessor makes your care needs fit the lowest score first. If you look at pages 10-18 of the NHS Continuing Healthcare Checklist document you’ll see that each care domain shows the lowest score (C) first. We’ve seen instances where an assessor will look at the description of the lowest score and see that the person’s care needs fit that description – but then fail to look at the higher scores. It means people may be given scores that are too low. 7. The Clinical Commissioning Group (CCG) throws out the Checklist saying there’s ‘not enough evidence’. The National Framework guidelines make it very clear that a Checklist that “has been completed by an appropriate health or social care professional… should usually be accepted and actioned by CCGs”. (National Framework page 95 paragraph 69.2). Much less evidence is needed for a Checklist (stage 1) than for stage 2 of the assessment process. 8. Assessors ignore the ‘managed needs’ principle. As in the whole Continuing Healthcare assessment process, assessors must look at underlying needs, not the needs as they appear with care in place. This is a very common mistake, and leads to many incorrect funding decisions. 9. Ignoring the Fast Track process. The Checklist should only be used if it’s NOT appropriate to use the Fast Track process. The Fast Track should be carried out quickly for people who are in a period of rapid deterioration or at end of life. 10. Assessors try to make your needs fit the Checklist format, even if it’s clear they don’t. 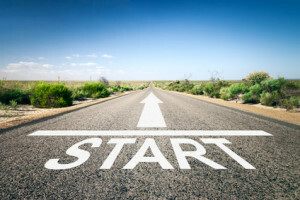 You can go through to stage 2 of the assessment process, even if you don’t ‘pass’ the Checklist. 11. You pass the Checklist and the assessors tell you you’ll have to pay for care until stage 2 is completed. The NHS Continuing Healthcare Checklist assessment is purely an indictor of whether a person needs a full assessment (stage 2). Therefore, at this point, no decision has been made about who is responsible for paying for care. For more information on all these points, be sure to read the NHS Continuing Healthcare Checklist document and guidance, pages 5-8. Make sure you also read the sections of the National Framework for NHS Continuing Healthcare and NHS-funded Nursing Care relating to the Checklist, including pages 25-27 and page 95. Be sure also to understand what is meant by mental capacity in relation to consent to having a NHS Continuing Healthcare Checklist assessment. A Mental Capacity Assessment is NOT a general assessment of a person’s mental or cognitive state of health or their general ability to make decisions. Instead, it’s about a person’s ability to make a specific decision about a specific thing right now. Read more here about vital mental capacity assessments. What’s your experience with the Checklist process? A few weeks ago my 90 year old mother in law was admitted as an emergency patient to a large NHS hospital. We discovered a Continuing Healthcare (CHC) assessment had been completed shortly after – without the knowledge of the patient, or her family. We were told that it was ‘hospital policy’ not to involve family at all! When we eventually saw the CHC scoring it appeared to be too low. Having pointed out a clear breach of the NHS procedure on notification (answer: “it’s all open to interpretation’) we insisted on submiting our own thoughts on 3 questions, but were told that if we did it would only be as a de facto addendum – not part of the assessment? Moreover, the very clear indication was that nothing would change the low score, despite the poor health of the patient and her predictable deterioration. If our own scores were higher, they would reduce others to end up with each same final result. Not surprisingly, there was no progress to the next stage and despite requests to see what was finally submitted to the CCG (apparently signed by an often confused patient ) nothing has been made available to us. A few weeks later her GP completed another CHC – this time with family in support. Result: Clearly well above the requisite level for the next stage. However, 7 days later still no result from the same CCG….. So sorry to hear about your experiences. Dad died in August and I am still trying to put together a comprehensive formal complaint about all the serious failings we experienced in relation to CHC and NHS care and treatment generally. If your CCG office is as incompetent as the one I dealt with don’t expect speed, efficiency or even staff who have read the framework and know what to do. The people I dealt with when trying to get Dad assessed for Continuing Healthcare (CHC) were frankly clueless. They were also callous in the extreme and completely unprofessional. I was lied to, had the phone put down on me when I demanded answers to legitimate questions and the people I dealt with would not give me their names. Letters arrived with a signature block saying simply Business Support Team, no name. “Clinical” staff said the letters were from “admin” staff. Admin staff insisted they were very junior and “just sent out letters”. No-one would accept responsibility and no-one seemed to know much about CHC, the framework or the proper processes, despite being paid by the NHS to deal with precisely this. Knowing more than any so-called professional you have to deal with becomes the norm. Sadly it doesn’t always help much as it is impossible to make the NHS do anything. Many posting on this site don’t accept that all this cruel nonsense is just down to incompetent individuals, seeing something more systematic and deliberate in what is happening. Either way you are in the position of having to understand what should happen and having to fight to try and make it happen. Your wife and her family will need all your support in dealing with this at what is already a very difficult and distressing time. I’ve just returned from my mum’s Checklist undertaken in hospital. They point blank refused to look at any of my mum’s needs before being in hospital and despite my repeated questioning said they can only assess based on how she is while receiving care in hospital. Surely this totally ignores the managed need principle. For example my mum has had two attempted discharges in the last 3 months both of which have lasted less than 24 hours because of multiple falls. In the last few years she has broken her hip and shoulder due to falls and had a fall in hospital (different hosptal) in the last few months. However because she hasn’t fallen in the last two weeks she’s been on the ward and managed to walk about 10 steps with a zimmer she is a very low risk from falls. This was the same for many of the domains. They told me if i wanted her previous (unmanaged needs) taken into account i had to contact the Continuing Healthcare team and request a retrospective assessment. Our dad (mixed dementia, mobile, challenging behaviour) went from hospital to nursing home “A” under discharge to assess pathway. Hospital under extreme pressure for beds. The family have both LPOAs. 1st June a Social Worker (SW) came and did a Checklist. I was present. SW pressured me to do the financial form at same time as checklist. I held out on the day, but sent it by post later. The care home said he is an A for Behaviour – a priority domain – and the SW also told me on phone later he was an A. I had to request a copy of the Checklist a month later. I asked for a copy of any assessments done in Hospital but did not receive any. On the Checklist I received, the A for Behaviour had changed to B. The SW has not submitted it to the CCG, who have no record of it, so there has been no decision letter. Seemingly the SW has him down as “self funding”, told us his checklist was “negative”, and shows no intention of either marking Behaviour as A, which would entitle him to a Decision Support Tool assessment, or sending the Checklist to the CCG (or should that be its Commissioning Support Unit). He has now left Care home A – they said they did not want him long term as his behaviour was a problem to them, and we did not like the place anyway. We failed in efforts to find a place nearer to family – residential places, and even many nursing places, will not accept him. Care home B where he is now, is in a different county from care home A. We have had to pay 1 month fees to A and one month in advance to B. Can I get home B to do a Checklist for us and just send that direct to the new CCG? Do we have to go through SW? The first County and its SW will no doubt close the file for all time, if they realise he is now over the border. Meanwhile we had to pay Funded Nursing Care as nobody has sorted that, they have just expected the family to pay it. Not sure I have the stomach for a long fight over Continuing Healthcare (CHC) but would like to get Funded Nursing Care at least. All anyone asks is “Does he own his own home?” If you say yes, “Oh well, he’s self funding”. No effort to establish care needs before asking this, it’s as if CHC funding does not exist. All this makes the most stressful part of your life even worse. Sorry to hear of your problems with your CCG Stressed1. My mother is currently in hospital with a nervous condition that’s made her immobile and coupled with dementia and very poor eyesight it has made the last 3 years difficult for her. Whilst she was in hospital stage 4 pancreatic cancer was found during an ultra-scan with the usual 3 month life expectancy assessment. Since finding the cancer she has been scored for continuing healthcare has she can no longer return to her house. She didn’t reach the score on the continuing healthcare checklist and so didn’t proceed to the full assessment part. I feel my mother has not been assessed and scored using the government guideline documents. When I challenged the person would did the assessment I was told that they had never heard of this protocol and they do it differently. How can this be so? Do CCGs follow different guidelines tailored to suit themselves? Or am I misreading the guidelines? I have the DST meeting scheduled for next week for my 94 year old Aunt. Two years ago she had a Checklist and Full Assessment done (without our knowledge and both on the same day!!). I have requested copies of these prior to my meeting next week. Initially they said that they cannot locate them. I insisted that I needed to see them. Now their response is – Each assessment is individual and is only relevant to the current time for the patient, (consequently the 2015 paperwork which was completed will not be considered as this is not appropriate). My Mum was moved from Hospital into an Assessment centre for 6 weeks recently. I live 4hrs drive from her and obviously we (she and I) would like her to move down near me (daughter). We were told she would be assessed to determine the best accommodation solution for her future and so on but not really given any understanding of what the procedure or process would be. She still has capacity. A week ago a Discharge Co-ordinator called me to say she had been in to meet my Mum and done a piece of work and scored Mum with some B’s. I didnt know what she was talking about. I asked if I could have something in writing but have received nothing. From reading your site it seems this lady did the Checklist with Mum and determined from that that CHC assessment is not required and that therefore Mum is going to be stuck with LA rates only. I rang Mum today to say look Mum dont let anyone assess you without NOK present pls from now on as I don’t trust that this process has been done correctly at all. My Mum is now allowed 2 more weeks in the Assessment Centre and we have been called in to meet this Co-ordinator and discuss next week. My feeling is that we need to request a ‘re-trial’ so to speak, this time with family present. But I imagine this will now mean we have to appeal and it will take ages to simply start again with a new Checklist being done. Can you advise pls? Michelle, so sorry to hear about your mother. I don’t know whether you have a case – although others on this site may be able to help. How awful to be ignored when you could see your mother was failing and then to have an assessment only days before her death. How awful for you but how convenient and cost effective for the NHS. The Continuing Healthcare (CHC) team for your CCG will be able to chalk up another success, lots of pats on the back for all the staff(doctors and nurses etc) who delayed the assessment long enough to make it irrelevant. A result – no CHC to be paid for. The cynicism is breathtaking. My father was discharged from hospital last March without assessment and I had to fight to get one carried out. It didn’t take place until September and despite being positive the CCG have refused to carry out a full assessment, instead asking for a second Checklist when they regard him as “fit” and “stable”. It is now February almost a year since the 2 hospitals involved failed to assess him for CHC and the insisted on second Checklist has not materialised. In fact since insisting one must take place the CCG have not been in touch. Letters of complaint to both the CCG chair and Chief Executive have gone unanswered and a desperate plea to my MP has also been ignored. I believe we will still be waiting for an assessment when my father dies. Refusing or failing to assess means CHC does not have to be refused when people clearly meet the criteria – it is another way of a saving money and unlike assessing and then refusing the family of the patient have no recourse to a review or appeal – as you can only appeal a decision and no decision has been made. I feel reasonably well-informed about CHC but this has not helped. I cannot make NHS staff behave lawfully and follow procedures correctly. How can public sector staff be so unaccountable for their actions? My mother had a heart attack and stroke last year and ended up in a nursing home from last May, she was awarded Funded Nursing Care (FNC) which I agreed with at the time. The home manager and social services were supposed to complete a review due to changes in her health, and a date was set for 8th Nov which was cancelled. The second date was 14th Dec however again this was cancelled ( all due to the district nurses not the home). She went into hospital on the 15th Dec and she had pneumonia due to aspiration … it was clear she was declining and asked the Dr to complete a Fast Track prior to Christmas but was not listened to, she eventually got Fast Tracked last Monday but sadly died in the hospital last Friday… Have I got a case to go the CCG over the lack of assessment since last Nov as I feel she should have been awarded full funding from that time ? I’ve recently had a reassessment for my mum. Not looking hopeful reading these posts. She has no capacity, therefore is a high risk as she has every needs, they tried to tell me because she didnt create a fuss about anything she wouldn’t qualify??? So they are trying to tell me because my mothers dementia takes everything away from her, she won’t qualify for any funding, but if she attacked someone she would! Surely this is criminal ! I have a checklist assessment to attend tomorrow with for my Mother who is currently in a care home (out of her local area) after a long period in hospital and rehab. The above comments are not filling me with much hope and it worries me that there can be variations in outlook from the assessors undertaking the scoring. I’ve read up on the leaflets and understand what it is about, but fear my Mum will not be totally truthful about her incapacity and inability to look after herself, as she is in continual denial and does show some indication of dementia/confusion. As POA will they listen to me or her during the assessment? I am close to abandoning the fight for Continuing Healthcare (CHC) for my father. We simply cannot get him assessed. I finally managed to get to the Checklist stage in September and despite downplaying all my father’s health problems he still scored enough to pass and be fully assessed. But the nurse who carried it out would not submit the Checklist insisting on a second checklist after two months, maybe longer, when he deemed it clinically appropriate. He used a medication change as the excuse (ignoring the “well managed needs are still needs” principle). In frustration I submitted a copy to the CCG and asked for the full assessment without delay. A brief email addressed non of my complaints about maladministration over the last 12 months and the failure of two hospitals and a mental health team social worker to carry out Checklists when they should have early in 2016. Instead the CCG backed the CPN’s decision that a second checklist would be needed when my father was at his “optimum”, his “needs on discharge were clear” and he was medically fit. As background my father was discharged from hospital first in January 2016 and again in April 2016. The hospital insisted the morning after his admission on both occasions that he was “medically fit” and continually attempted to discharge him on this basis (ignoring his mental health problems, Alzheimers, confusion, aggression and the grave risk to himself and his wife). How can an administrator working for the CCG make the decision/ assumption that my father is now not medically fit? When will his needs on discharge be clear? When will he be at his optimum? It seems my father won’t be assessed because he is too ill and will according to their logic be assessed again only when he is well and therefore not in need of care. They simply cannot take the risk he may pass the assessment. How can I fight this? There is no appeal process for a simple refusal by a CCG to carry out its legal obligations. While we wait for the CCG to decide when or whether to carry out a second checklist or full assessment are we still responsible for all care costs? I have been fighting for Continuing Healthcare (CHC) funding for the last 4 years for my mum who sadly passed away nearly 2 years ago. I am now supporting my cousin as she begins the process for my Aunt. After requesting an assessment for CHC at the hospital, she was not included in the assessment , no copy was provided and merely told she had not passed, with that my aunt was rapidly discharged from hospital into a care home . No explanations given. I attended a meeting with my cousin on Friday to receive the results of a completed Checklist (that we had requested). The social worker did not have a copy for us, my cousin hadn’t been included in its completion, they had scored 9xC and 1 xB, evidence that they had merely looked at box C as we believe should have scored 5xA, 4 xB and 1xC. The social worker on a number of occasions said the Checklist was completed on reflection of my aunt’s condition while in the care home responding to 24 hour care!!! I think she was rather shocked when i decided to show her the NHS guidelines she should be following that clearly states that is incorrect procedure. It is only because I have been through a nightmare and continue to battle on that I can now help my Aunt. We should be able to trust these so called professionals but instead we have to do their jobs for them instead of being able to enjoy our relatives for however long we have left. Jane – yes, they seem to have focused on managed needs, instead of your mum’s underlying needs, and there has been little transparency in the process. I am senior social work practitioner and only work contract across the UK. I specialise in Adults, mental health and learning disability. As I travel across the country and carry out Checklists and attend full Decision Support Tools (DST) I see a stark difference how it is done in every area I go. I find you get nurses who are sympathetic and will work towards full funding if they can, and other nurses who deal with full DSTs like it is their own money. The one conclusion I have come to, is that in many areas Continuing Healthcare (CHC) funding is budget driven and as all things in the NHS these days a total post code lottery. What most people do not realise is the NHS really doesn’t exists anymore. Successive governments have all, be they Labour or Conservative have all moved it in stages to privatisation by stealth and the NHS as we know it is now being allowed to wither on the vine. Progressively you will get less and less of a service, and then will come the one off payment like in France for a GP’s appointment. I’m afraid the full implosion is not far away of both health and social services. As for privatisation it seems that governments have learned nothing other privatisations like prisons. In fact as I travel around I see many services heading over the cliff and that includes Policing. Thanks for sharing your experience, Ian. My 87 year old mother is currently in a community nurse led hospital. She has COPD, benign brain tumour which causes her to have seizures and vacant seizures. She is also imobile, has type two diabetic insulin controlled, supra pubic catheter as she had kidney problems and fluid retention. We ask for Continuing Healthcare (CHC) assessment and was told they had done their assessment and she doesn’t meet the criteria. How can they do an assessment on someone they have known for 5 minutes, not involve the patient or family in the assessment and be allowed to make that decision on their own. If my mother doesn’t meet the criteria then I don’t know who will. Well I have just had one done for my 78year old father. He is type II Diabetic for 20+ years. He is lucid and able to slowly make he way about now with the aid of two sticks. Yes he can make himself food, talk, and generally be independant, but that is ONLY because we have Carers coming in twice a day at £800 a month who make sure he eats properly and rugularly and takes his medication properly. Before I got them in place he’d gone in a few months from a man who could lift himself out of chair and walk around a supermarket, into someone who needed to be physically moved to the lavatory overnight and who ended in Hospital twice with his blood sugar all over the place and various urinary tract infections. I was not getitng any sleep as I was waking every hour to help him to the lavatory, or sleeping with one eye open waiting for the crash as he fell over again. Work suffered because I did not know if I would return to find him on the floor. Simply he cannot remember when to take his medicine, so without the carers he goes downhill very fast. The social stuff they do for him is just a nice side effect. He’s paid tens of thousands into National insurance and all we can claim is £55/week attenadance allowance; that is criminal. I do believe we got marked as C’s mostly because his Care was marked based on his managed level, not what it would be otherwise (this is especially true of his ‘uncontrolled’ incontinence and falls risks all of which are high when you have serious blood glucose control issues). I have your book and I will be asking for another assessment. 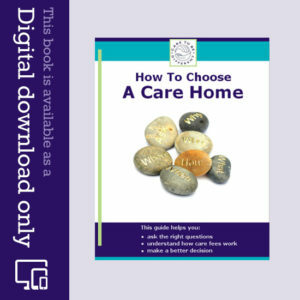 Simon – this may help you regarding managed needs: http://caretobedifferent.co.uk/continuing-care-assessments-2-frequent-mistakes-part-1/ Yes challenge anything you disagree with in the Checklist and insist it is done again if you feel the assessment criteria have been wrongly applied. Mum was discharged from a Mental Health Hospital in 2011. I have all of her health notes and (at discharge) can see from them that she “did not meet the criteria for Continuing Healthcare (CHC)” and the “Checklist was completed” but there is no trace of the Checklist anywhere. I definitely was not involved in any meeting about her health needs at the time and distinctly remember the Doctor just saying to me on the day of discharge “you do realise that you (mum) will be paying for her Care Home fees herself, don’t you?” We just complied……I got diagnosed with Bowel Cancer and my focus changed. 2 years later when I had the energy and researched CHC, we applied, she qualified. This was paid for 3 years – recently it has been withdrawn. I have appealed and put in a retrospective claim for one of the missing years but am too late for the 10months directly after discharge – so want to claim against the NHS for maladministration. Any tips for this part? any examples of missing paperwork? any links I should follow? Stephanie – your experience, especially regarding what the doctor said, is sadly not unusual. Where there’s no assessment paperwork, there was probably also no proper assessment. I’m glad you eventually secured CHC funding. If the funding was withdrawn without a proper review, you can challenge it on that basis alone. Also (and you may be doing this anyway) pull out ever paragraph from the National Framework and other guidelines that supports your case, and use the local authority (LA) legal limit to bolster it too. Build your case on two fronts: 1) failures to follow process; and 2) failures to correctly interpret eligibility criteria. If the funding has been withdrawn and yet your mum’s needs are still beyond the LA’s remit, then the LA is in an illegal position: http://caretobedifferent.co.uk/nhs-continuing-healthcare-assessments-2/ The Head of Adult Care at the LA may need to be aware of that. i dont know if dereliction of duty is the correct phrase and the reason i wasnt able to fight for him at the time was down to 4 years of caring on my own and working which resulted in myslef having a nervous breakdown. So, even though i was happy he was being cared for and my worry was halfed, i still had by own battle and for that reason, i went along with the fact that he was in a better place than i could give him. That is why, i never once thought to check if the proffessionals knew who and what they were dealing with. Have a question regarding my Grandad’s care. I am Currently 4 years into Retrospective Claim where my Grandad wasnt fully assessed at the point of Hospital release. He Had Dementia plus other ailments. I have now just recieved his Need Portrayal Document and Continuing Healthcare Checklists, which i find very highly subjective and disagree wich most of his scores. However, what the documents dont mention is the fact that my Grandad had been prescribed antidepressants before he went into care (It seems he wasnt on them in care) and that he was diagnosed with Pneumoconiosis in 1960, in fact it actually states “No Known Respiratory Conditions” if a full assessment had been carried out before he went into care, i could have told them this information, forgetting the fact that it should have been a matter of record anyway. Do you think this information and the fact that they were not meeting his care needs fully, is a gross dereliction of duty or will the NHS find something to cover themselves for this oversight? Paul – if the care home was not meeting his needs properly then this could potentially constitute negligence on their part. We can’t say definitively here without an in depth look at your case. Regarding the Needs Portrayal, you can appeal anything you feel is incorrect, e.g. the scoring, the way the criteria have been interpreted, the knowledge (or otherwise) of the people doing the review, lack of appropriate evidence, etc. If you believe that your granddad’s needs have been played down or marginalised, and that the scores should have been higher, put this all in writing and insist that this is looked at as a matter of urgency. I have just come out of the DST Meeting for my Uncle and I am completely shell shocked. 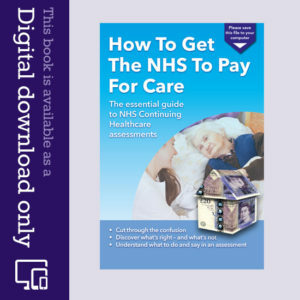 I had all the information I needed before the meeting, I downloaded the book – how to get the NHS to pay for Continuing Care…..and I thought I was really well prepared. The lady from Social Services was really nice and the medical professional was charming, brought me tea and told me this was just a formality because he would be recommending nursing care. I was slightly concerned at the way the marking was going but the chap doing the tick boxes was saying things like ‘obviously in my comments I will be giving weight to, and linking to comments about etc etc etc….. then all of a sudden he said well, clearly he needs residential nursing care that will be my recommendation and I said ‘what happens now’, and the lady from social services said ‘will you be self funding’ and I just looked at her, like an idiot. I said – I thought Nursing care had just been recommended. Oh no, he only scores high/moderate on the matrix thing so I won’t be recommending Continuing Health Care. The local health care will pay £140.01 per week towards his Nursing home fees and you will have to pay the rest. Please sign this document and goodbye. I didn’t sign as I said I wanted time to digest and possibly to consider an appeal. I had no idea they could say that he was entitled to have some nursing care paid for but that you had to pay the rest. Lindsey – that sounds like a very difficult assessment meeting, and sadly it’s not unusual for families to report such experiences. It’s the multidisciplinary team (MDT)in a full assessment meeting that recommends Continuing Healthcare funding, rather than just one medical professional – although each person can add their weight to a recommendation. It should not be a unilateral decision by just the person running the meeting or the person taking the notes. If a person receives residential care, as opposed to nursing care, it doesn’t mean they can’t receive Continuing Healthcare: http://caretobedifferent.co.uk/where-can-a-person-receive-nhs-continuing-healthcare-funding/ Also, the MDT have no business asking questions about your uncle’s money during a full assessment meeting for NHS Continuing Healthcare. Even if a recommendation of no funding is being made, such questions are still entirely inappropriate until after the actual funding decision has been made by the CCG. I’m assuming the £140.01 that was mentioned is Funded Nursing Care (FNC). This is £156.25 per week (from 01/04/16 onwards). FNC payments are made only to nursing homes, not residential homes. FNC is not the same as Continuing Healthcare; instead, it is a weekly payment made directly to nursing homes, supposedly to cover nursing care for people who are denied the full Continuing Healthcare funding. It’s very good that you didn’t sign anything. The MDT should send you a copy of the Decision Support Tool. Make sure you check absolutely everything in it, and challenge anything you disagree with and/or anything you believe is missing or has been overlooked. If your uncle is genuinely not eligible for Continuing Healthcare, and if he genuinely does have to pay for his care, it is only his money that should be taken into account – not yours nor anyone else’s in the family. My mum has been told on several occasions that my dad doesn’t qualify for CHC funding, but considering all the problems he has I can’t understand why and think they are fobbing my mum off. Any advice would be very much appreciated as all seems a bit of a minefield! Thank you, so glad I came across this site! Debbie – it is only your dad’s money that should have been used to pay his care fees, not your mum’s. You mentioned that your mum has been told your dad doesn’t qualify for Continuing Healthcare funding (CHC). Has he actually been through the assessment process? My mom was awarded fast track CHC , and moved into another authority nursing home and the fees were paid. She hated it and has now moved in with me. It is another health authority and they are telling me the CHC is not transferable and they consider she is not suitable for a fast track CHC. I need some help any ideas? Two points, Karen: 1) The Fast Track requires only the opinion of one person to be put into effect; it’s not for discussion or deliberation y the CHC team. Plus, care under the Fast Track must be put in place within 24 hours: http://caretobedifferent.co.uk/continuing-care-fast-track-assessments-how-to-get-a-quick-decision/ and 2) Normally a person would retain their CHC even if they move areas – because the funding is not based on area, but on care needs. At the time of any subsequent CHC funding review, the funding responsibility may then be transferred to the new CCG. I can understand your concern, Emma. Have you received a written rationale for the decision to remove CHC funding? And were you present at the review? My 33 year old brother has lived in his home (care home) for nearly 3 years. He has had a review and lost his Continuing Healthcare (CHC) funding I have appealed against this decision but I am having problems with my local council who will not pay for him to live there and want him moving as soon as possible. My myself and my brother are finding the situation extreamly hard and everyone I phone asking for help or advice are saying they are unable to help. Is there any advice you can give us please? Well after three tries sadly the lady we fought for died never getting her care paid for. I felt every time she fitted all criteria and even got Citizens Advice help. I beleive the people on the board are not there to help anyone but to save money. No person in their right mind would have declined the lady we cared for free care. Disgusted in whole system. I am at the 4 year stage of a retrospective assessment. It was first with a claims company, they said there was nothing more they could do after the NHS refunded 4 days of Grandad’s care, these were the 4 days release from hospital with cancer. Basically the last 4 days of his life. I took my complaint to the Ombudsman, who redirected me to the CCG. I had a meeting with them 2 weeks ago and they are now revising my notes together with the Decision Support Tool. My problems with the process are varied: Grandad was deemed not to have mental capacity in 2010, I was not involved in a full assessment on his release from Hospital, he was financially assessed immediately. The scoring on his assessment was originally full of contradictions. It also seems that when he was first admitted to hospital, his meds were not correctly listed and I found out recently that his antidepressants, which had just recently been prescribed, were never repeated while in hospital or care. My Grandad was Type 2 Diabetic, Dementia, history of Pneumonicosis, Poor Hearing, Poor Mobility. His assessment gives a “no needs” verdict regarding Mobility! If you’re in doubt about yourself or a relative, don’t give up, even when they make you feel like you or your relative could get by with 4 visits a day. I don’t know about anyone else but when you are eating soap and dropping your pants, being aggressive on a regular basis and you have shown signs of depression/Elation/Physical Violence and you also run a risk of incontinence, your needs are not just social. I think many people would agree with you, Paul.